Conservationists estimate the southern African country has around 130 000 elephants, but some lawmakers say it is much higher and causes problems for small-scale farmers. A committee appointed by President Mokgweetsi Masisi to review the 2014 hunting ban handed a report on the matter to Masisi late on Thursday. “We recommend a legal framework that will enable the growth of a safari hunting industry and manage the country’s elephant population within the historic range,” said Frans Van Der Westhuizen who chaired the committee that also called for “regular but limited” elephant culling. Masisi set up the committee in June 2018 to consider the ban imposed by former president Ian Khama after surveys showed declining wildlife populations in the north. Botswana, the size of France and mostly arid, has a population of around 2.3 million people and vast tracts of remote wilderness that make it a magnet for foreign tourists who want to view wildlife. Masisi said he would present the report to his cabinet before making a decision. 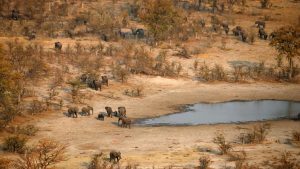 The post Botswana considers allowing big game hunting, culling elephants appeared first on SABC News – Breaking news, special reports, world, business, sport coverage of all South African current events. Africa's news leader..